The private researcher dreams of having the limitless resources to create the personal research library. For Aby Warburg (1866-1929) the dream was a reality. A member of the famous family of wealthy German bankers, it was not the world of finance that appealed to Warburg but rather the art of the Renaissance and the manifold ways in which the classical tradition of ancient Greece and Rome had been expressed culturally and intellectually throughout history, influencing and shaping the thought and culture of Europe and beyond. Backed by family money, he built his own impressive collection of books. Warburg’s library gradually attracted like-minded scholars, becoming the hub of a growing circle of researchers. One of these scholars, the art historian Fritz Saxl (1890-1948), was instrumental in turning an essentially private library into a fully-fledged research institute. Initially attached to the University of Hamburg, the rise to power of the Nazis led to the institute’s relocation to London in 1933. In 1944 the Warburg Institute was incorporated into the University of London with a guarantee that the university would maintain its library and preserve its independent status as a research institute in perpetuity. As a result of this apparently far-sighted decision, the University of London has been associated with one of the world’s great centres of research on cultural and intellectual history. 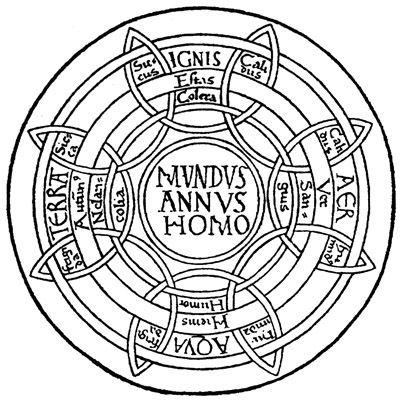 Many important scholars have been associated with the institute—Ernst Cassirer, Erwin Panofsky, Henri Frankfort, Ernst Gombrich, Frances Yates, D.P. Walker and Anthony Grafton to name but a few—and for serious students of the classical tradition the resources of the institute are an essential aid to research. The institute has a thriving postgraduate and postdoctoral research culture, and is particularly noted for its support of young scholars (among which I was once one). The Warburg library is characterized by its unique and brilliant classification system designed to enable interdisciplinary research across art, history, literature, philosophy, theology, and much else besides; it now holds more than 350,000 volumes, over 98% of which are on open access shelves, and among them are a large proportion of rare and otherwise hard-to-find books. In addition, the institute is home to a photographic collection of more than 400,000 images. The saga is a dispiriting reflection of modern academia. Universities, colleges and many departments are increasingly run in ways that resemble the world of corporate business; senior management, as well as many heads of department, focus on budgets, assets, profit and loss. Business models and strategies rather than scholarly and intellectual culture are the new order within the university and many of its departments. The research and scholarly value of the Warburg Institute, obvious to those of us who work on cultural and intellectual history but almost impossible to quantify on the accountant’s spreadsheet, counts for little alongside the narrow but ‘measurable’ productivity and outputs so beloved of current policymakers and university management. The University of London, it would appear, regards the Warburg Institute as a potential asset, but not in ways that demonstrate an understanding and fostering of the research culture that has been, and still is, at the heart of the institute’s international reputation. There was a time, and not that long ago, when the university was an institution that protected and valued research and scholarship; it understood that academic work could not be reduced simply to figures on a balance sheet. The change in university culture over the last two or three decades is illustrated by another story involving the University of London. In 1956 a set of the earliest folios of Shakespeare was bequeathed to the university library, with the condition that they would be housed there permanently. The value of such a bequest would have been understood not only by literary scholars, but also by university management, for its contribution to the research culture and reputation of the university. How does modern university management value this bequest? At £3-5 million and an asset to be auctioned off. Due to a public outcry from scholars, the University of London abandoned its plans to sell the folios (see the Guardian, 5 September 2013), so for now at least the folios, like the Warburg Institute, are safe—but precariously so given the mindset of modern university management. Who would confidently place faith in the university to nurture research and scholarship in the humanities today? 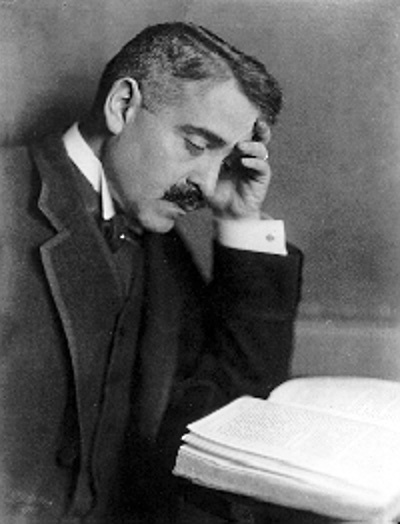 Aby Warburg was fortunate enough not to have to rely on institutions to support his research. It would hardly be surprising if, alongside the respect and admiration in which he is widely held by scholars, there is also a fair degree of envy. One of the most rewarding experiences of teaching undergraduate students is the lively, engaged seminar group. When ideas and views and vigorous discussion are flying around the classroom, when the group are interacting enthusiastically and brightly, then I sense that clear progress is being made. Conversely, few things are more dispiriting than the seminar group in which stony silence is the default mode of the students. When it is a struggle to elicit even brief comments, when before me are averted, nervous and embarrassed expressions from which issue not a word, then I begin to wonder what they are doing in the class—and, indeed, what I am doing there. Increasingly teachers are guided by buzzwords such as interactive and active learning, student participation and group work. We are encouraged to assess students according to their abilities in these areas, and to devise tasks and learning resources to encourage them—force them even—actively to participate in the classroom. But are we right to focus so heavily on these things, such that those students who resist interaction and are reluctant to be vocal are flagged up as needing support and intervention on the grounds that they are in danger of falling short of the learning outcomes and objectives of their studies? I started reflecting on this question as a result of an unusual teaching experience. I was convening a first-year undergraduate history module, comprising weekly lectures over two terms. Following the lecture the students divided into six seminar groups, each numbering about twenty members. I was responsible for teaching two of these groups, running back-to-back seminars. The first group ranked among the liveliest, most enjoyable classes I have ever taught. Participation levels were remarkably high: most students contributed to the weekly discussion topics, and no student sat through the entire course without speaking. Contributions were consistently engaging, interesting and lively; strong but good-natured debates were frequent. But the uplifting feeling I had as I wrapped up this class was always clouded by the prospect of the next seminar. Week after week, no matter what I tried, the second group of students sat through the class in near total silence. Two or three of them, perhaps unable to resist the uncomfortable absence of contributions, would venture their thoughts, but even they developed a reluctance to speak. Over half the students uttered not a single word in front of the whole class at any stage of the course. Even when divided into smaller groups of three or four, in the hope that this would prompt greater interaction, it was striking how quiet they were. Like the proverbial blood from a stone, drawing out any sort of discussion seemed impossible; only the knowledge that relief from this teaching torture would, however slowly the clock advanced, eventually come. Aside from the quiet seminar group being the least enjoyable class I have ever taught, I had understandable concerns about the students: whereas the lively group were breezing along, more than meeting expectations of student engagement and progress, the quiet bunch appeared to be advancing hardly at all. But I worried unnecessarily. For when it came to their academic progress, the quiet group collectively outperformed all the other seminar groups, exhibiting in their work a bright intelligence and enthusiastic engagement barely detectable in the classroom. In fact, they outperformed the rest of the year by some margin: although they were only one group out of six on the course, they accounted for just over half of all the First class grades. The lively group, on the other hand, returned mediocre results: no Firsts, and several notably weak performances. Moreover, the two or three most vocal members of the quiet group performed less well than those students who invariably said little or nothing during seminars. In Cain’s view, introversion, which she suggests accounts for as much as half the American population, ‘is now a second-class personality trait, somewhere between a disappointment and a pathology’. The Extrovert Ideal, its roots in works such as Dale Carnegie’s How to Win Friends and Influence People (1936) and the celebration of the successful salesperson as a heroic type, can be seen all around us, most obviously in the plethora of reality television programmes in which putting oneself forward, making oneself heard, embracing attention and celebrity, engaging fully in, and preferably leading, team activities are extolled as unchallenged virtues. Not to speak up, not to participate fully in the group, is regarded as a sign of weakness and a personal deficiency. That many people tend towards quiet reflection and creativity may be accepted; but increasingly there is a shrinking social and cultural place for the quiet personality. This way of thinking has influenced how university students are taught. The quiet student is in fact no longer quiet to the tutor; instead we are prompted to hear alarm bells warning us that the student is not developing in the right way. We are urged to promote active learning and to move away from so-called passive methods—the student who listens and takes notes, reflects and thinks, reads and writes, but says little in class, is labelled a passive learner and hence in need of pedagogic approaches designed to draw him or her to a more active learning style. So tutors are encouraged to utilize more group-work assignments and assessment based on class participation (one former colleague would mark a student as present only if they contributed to the class discussion). In this respect education is simply mirroring our present cultural state of the unquestioned virtue of the active individual and the assumed deficiency of the passive individual. When I reflect on my lively and quiet seminar groups it occurs to me that my worries were misplaced. The quiet students were, for the most part, doing fine; hopefully they benefited from the attempts to give them experience of group work and class participation, but these things could be developed over time and at a pace suitable to their personality. Above all, academically they were performing at a good level. But perhaps I should have distributed my concerns more to the lively group. They may have benefited from being steered in the direction of passive and reflective approaches, reining in a little their extrovert qualities. In an academic discipline such as history, where the foundation of doing well lies in occupying oneself with a great deal of the essentially solitary tasks of reading, thinking and writing—generally the sort of activities extroverts find under-stimulating—a teaching approach that blindly subscribes to the mantra of active learning may be letting students down in two ways: first, by undervaluing the qualities and progress of the introvert student and overlooking how stressful they may find a focus on active learning in class and in assignments; and secondly—and ironically—by excessively encouraging in extrovert students skills and traits they already possess at the expense of helping them foster other necessary qualities that do not come easily to them.